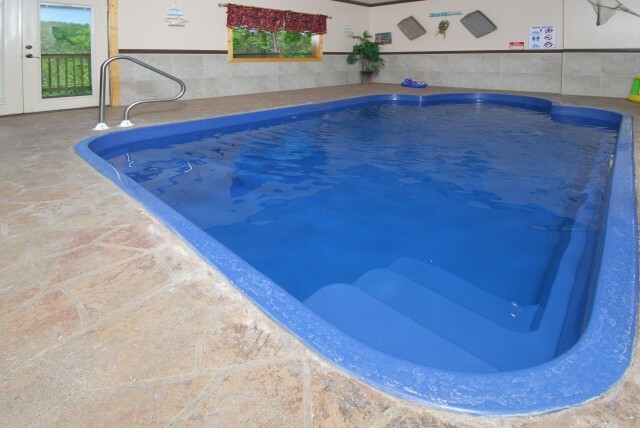 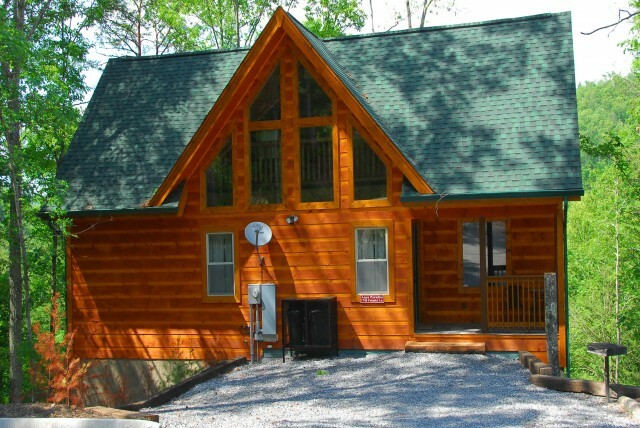 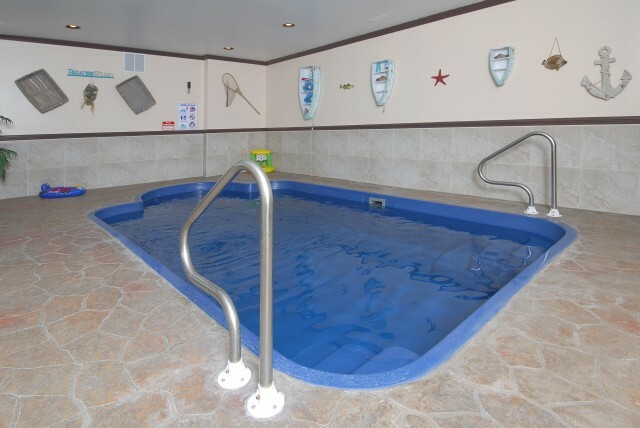 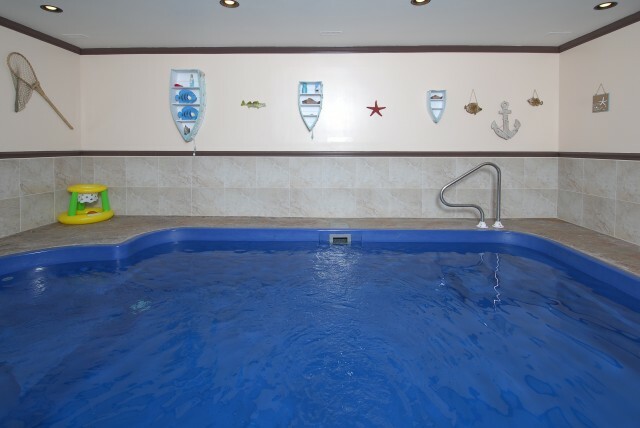 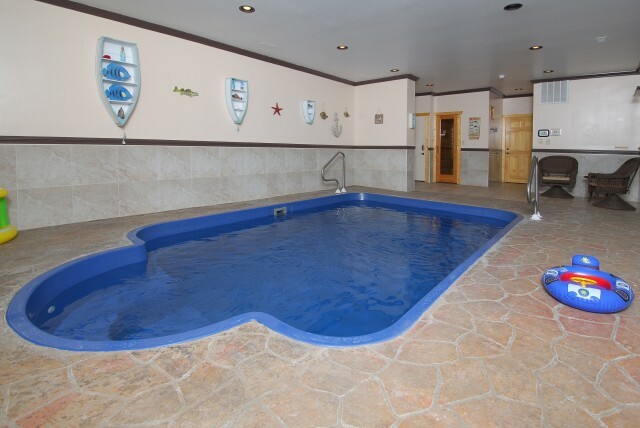 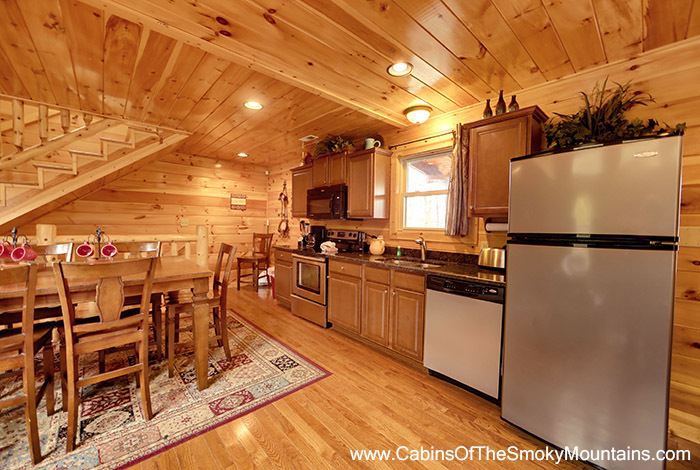 Aqua Paradise is a spacious two bedroom luxury cabin rental. 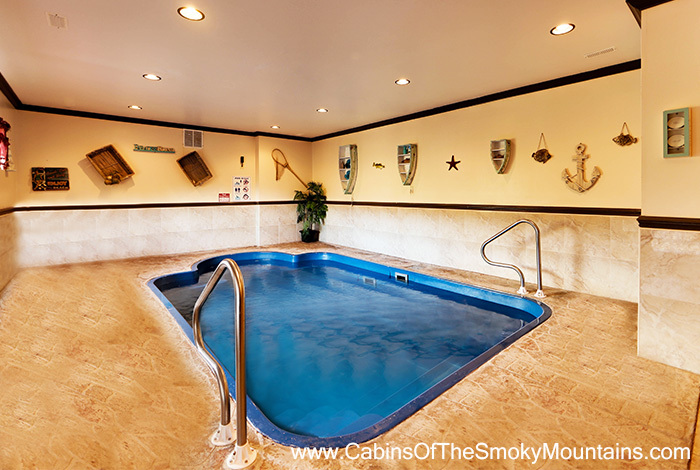 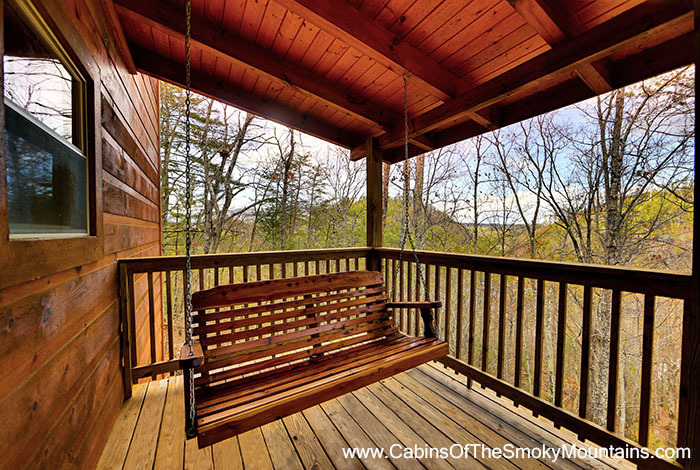 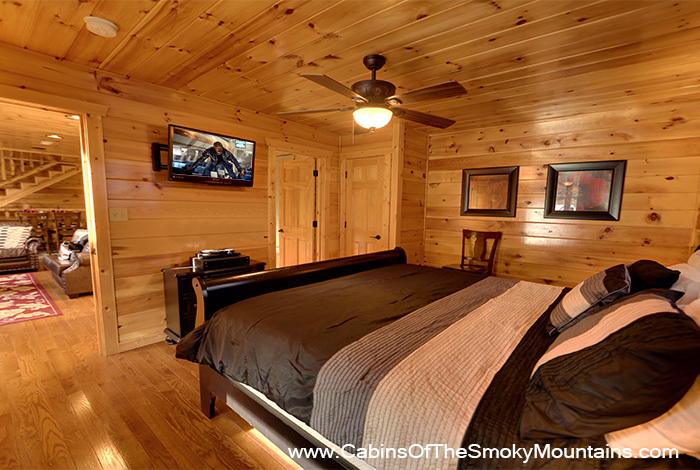 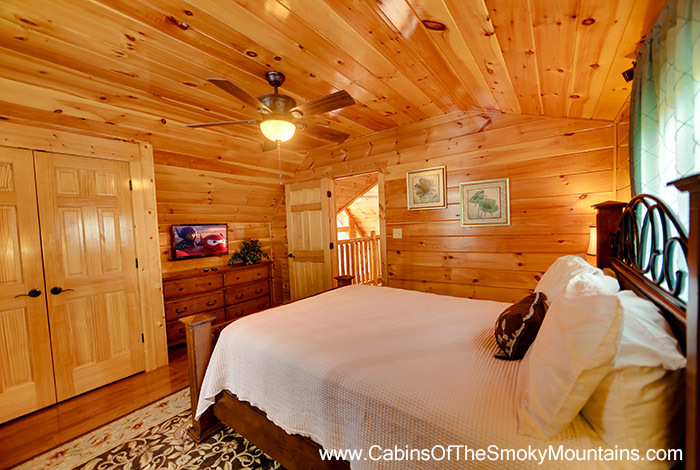 This, tastefully decorated, three story log cabin has a dazzling private indoor pool located just minutes from Pigeon Forge and Gatlinburg. 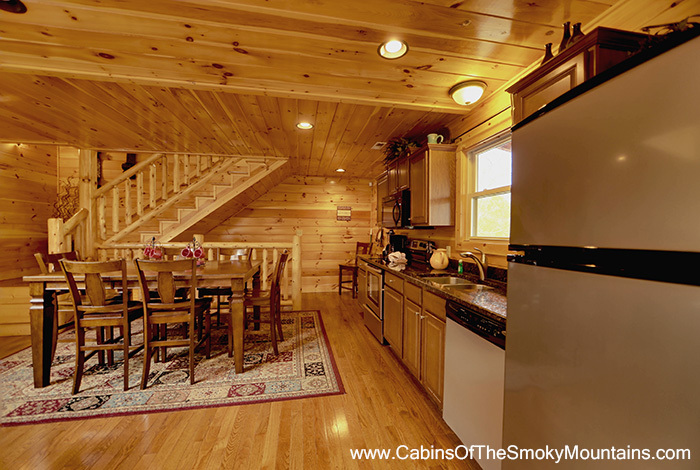 Aqua Paradise is located at the end of the road and looks out on a endless mountain view from the front deck where you can sit in peace and quiet while listening to the birds sing and enjoying the view while breathing in that clean mountain air. 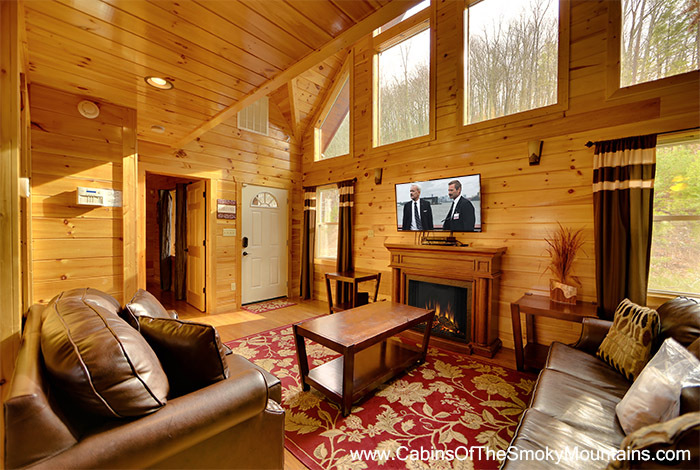 The living room features a leather sofa sleeper, love-seat, and a 55 inch flat screen TV with Blu-Ray DVD and HD Satellite including Showtime set above the electric fireplace. 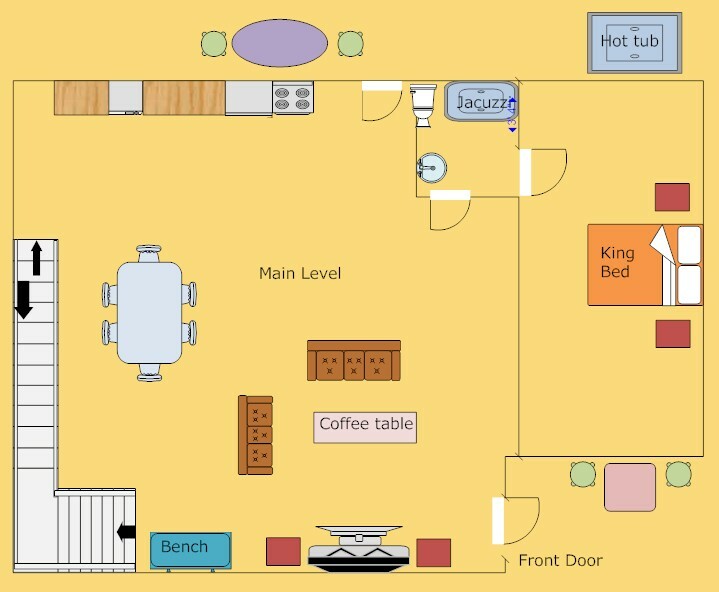 The kitchen is fully equipped including a dining table with eight chairs and is the perfect place for everyone to enjoy time together. 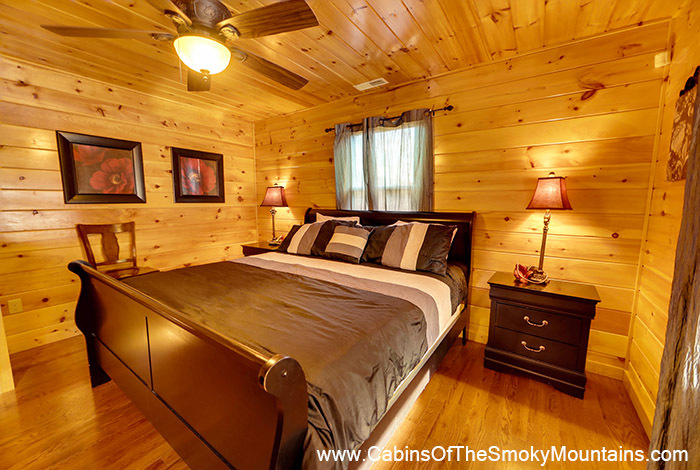 Also on the main floor is a bedroom with king bed and flat screen TV. 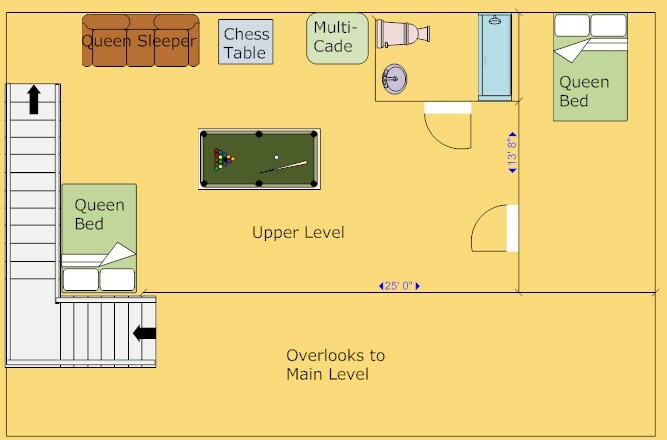 Also you will notice a shared full size bathroom just off the bedroom and kitchen that has a jetted tub, shower and washer/dryer. 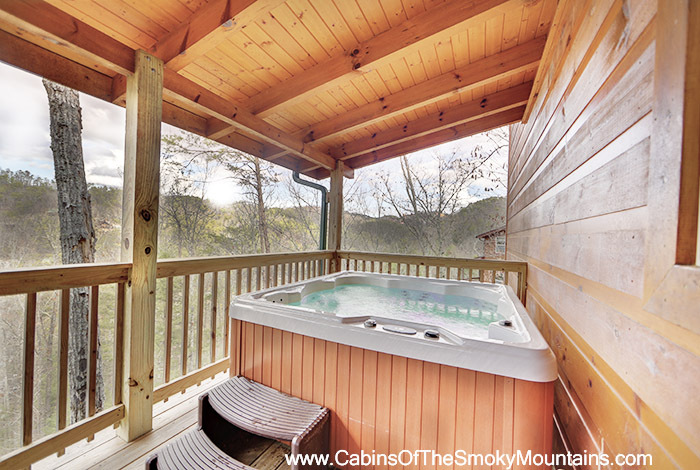 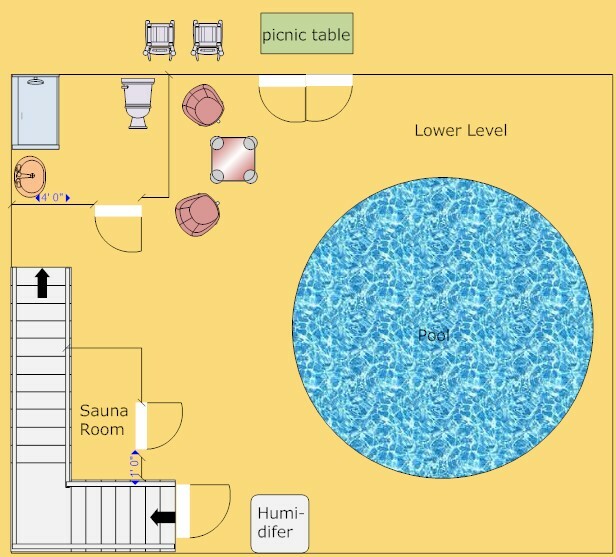 The deck off the living room has a massive luxury 6 person hot tub with a porch swing, a small table, chairs so everyone is sure to enjoy the view with or without a steamy soak. 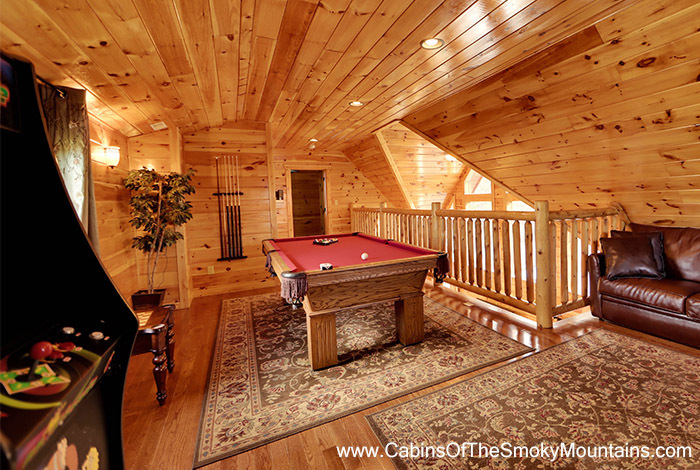 The upper loft level hosts the game room including pool table, 50+ Multi-Game Aracade, leather sofa sleeper and a full size bathroom that is shared with second enclosed bedroom with a queen bed and flat screen TV. 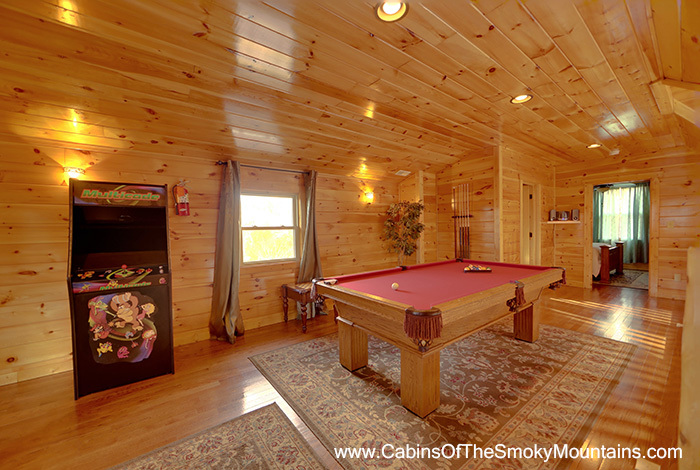 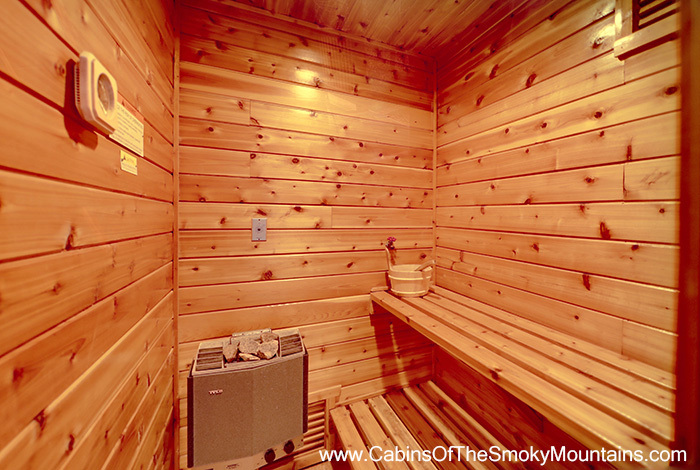 The lower level of this cabin features the Swimming pool Room with indoor pool, a table and four chairs, a full bathroom with shower and the private, 100% Cedar Wood Sauna to relax in. 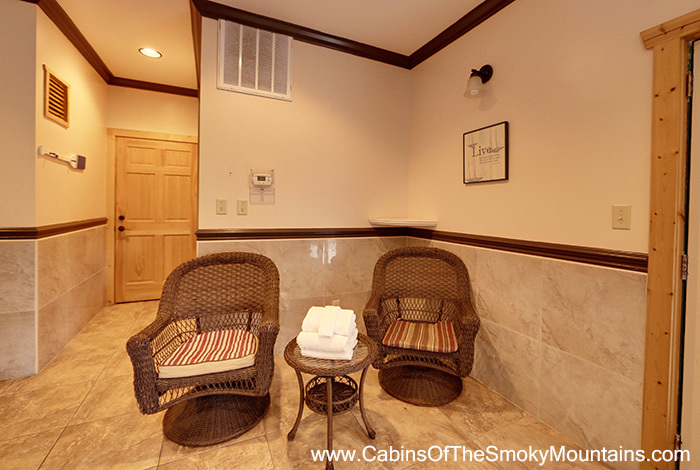 The lower deck offers some rockers and chairs where guests can enjoy the beautiful view or open the double doors and let the air flow in the summer time while taking a dip.